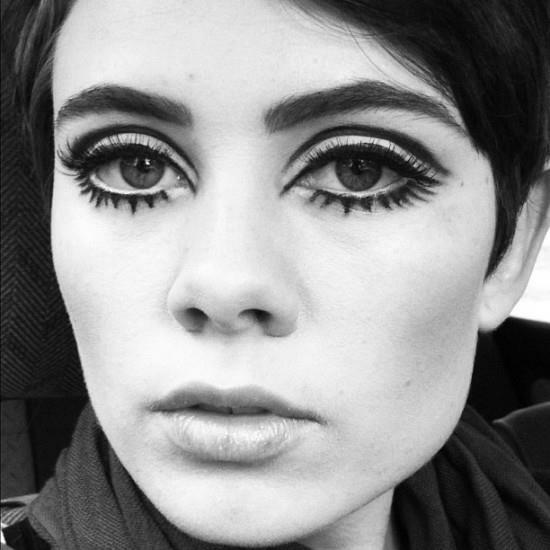 Doll lashes are a quirky eye makeup trend that was first popularized by British model Twiggy in the mid-twentieth century. It has since undergone a trend revival and has been seen on many models on professional runways. True to their name, doll lashes are designed to mirror the look of the eyelashes you see on plastic or glass babydolls. They are purposely clumped together into sections and their length and thickness is magnified with a ton of mascara. 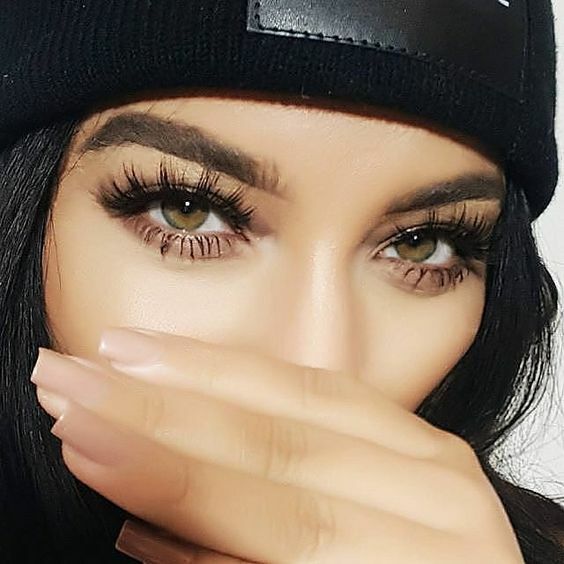 Many women are understandably hesitant to try out the doll lash trend for themselves. Clumpy mascara is usually considered to be a big no-no in the world of makeup. Plus, applying your makeup with the hopes of looking like a doll seems a little creepy. However, the doll lash look can make your eyelashes look significantly thicker and longer. It also makes your eyes appear larger and wider. You just have to know how to create and wear doll lashes correctly to make them look glamorous and not messy. You can choose whether to create your doll lashes by applying false lashes or by applying mascara to your real eyelashes. If you opt for the mascara-only approach, remember that the goal is to make your lashes look as long and thick as possible. Start by applying a layer of lash primer to add thickness. Then, hold your mascara wand vertically instead of horizontally and comb it through your top and bottom lashes. After you apply one layer of mascara, dip your mascara wand into black loose powder eyeshadow before combing it through your lashes again. The eyeshadow adds thickness to your lashes and helps them clump together in a doll-like way. Rinse any remaining eyeshadow off of your wand and finish your look with another layer of mascara. If you don’t want to deal with the mess of applying a ton of mascara to your lashes, you can opt to wear false lashes instead. To create doll lashes with false eyelashes, buy individual lashes. Individual lashes created the clumped look of doll lashes more easily than a full set. Start by lining your eyes lightly with black eyeliner. Smudge the liner to help it blend into your skin more naturally. 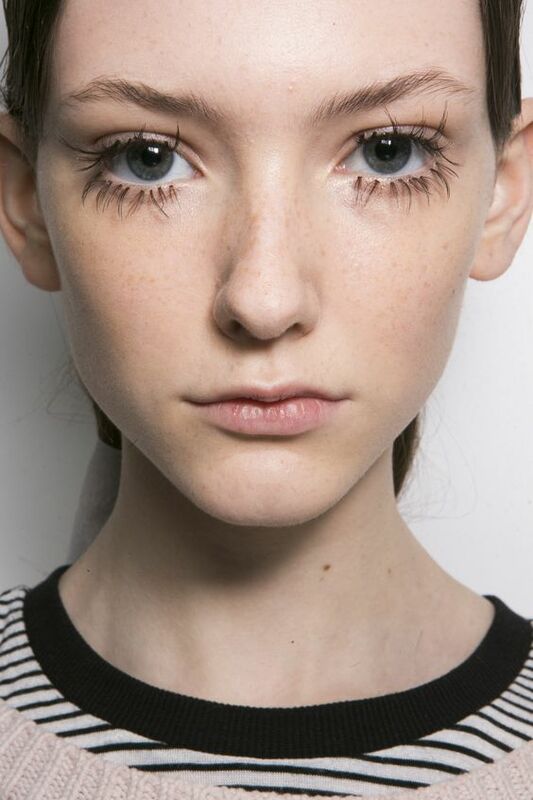 Coat your lashes with mascara primer before carefully applying the individual lashes using tweezers. Apply the lashes in a line, leaving a small amount of space between each lash to create a more realistic doll look. After you’re done applying your false lashes, coat your lashes with one to two layers of mascara to add more thickness and seal your false lashes to your real ones. A third option for creating doll lashes is drawing them on with eyeliner. This method creates a much more unconventional look than using mascara or false lashes. Only use this technique if you want a look that is more dramatic and cartoon-y than natural. Doll lashes are supposed to stick together, but there’s a fine line between grouped lashes and clumps that just look messy. Avoid an unattractive clumped look by perfecting your lashes with a toothpick after you apply them. 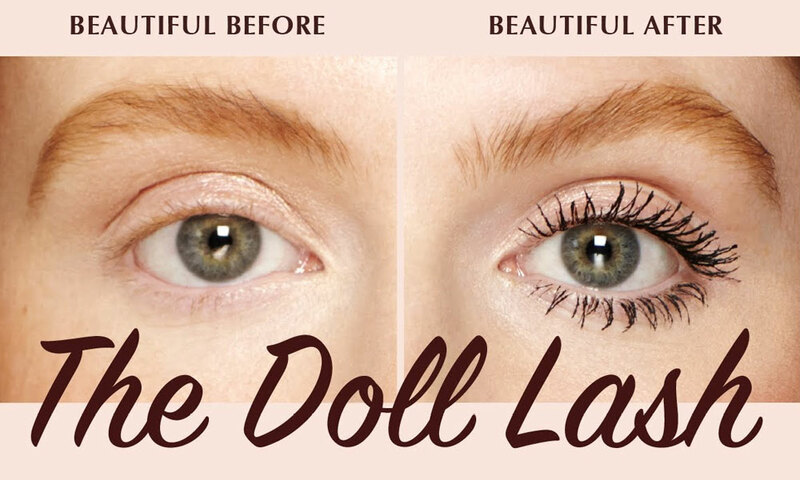 This trick is mostly useful for perfecting doll lashes created with mascara. However, it can still be applicable to false lashes in some cases, especially if you coat your false lashes in mascara. Use one end of a toothpick to separate any overly-clumped lashes. Start at the base of your lashes and carefully pull the toothpick through your lashes until they’re no longer stuck together. You can also use tweezers to carefully remove any flakes from the ends of your lashes. The doll lash look is designed to enhance your eyes and eyelashes. White eyeshadow has similar effects and makes the perfect complement to doll lashes. Apply white eyeshadow to the inner rims of your eyelids to make your eyes look brighter and wider. Brush a light layer of white eyeshadow over your upper and lower eyelids to accentuate the darkness, thickness, and length of your eyelashes. 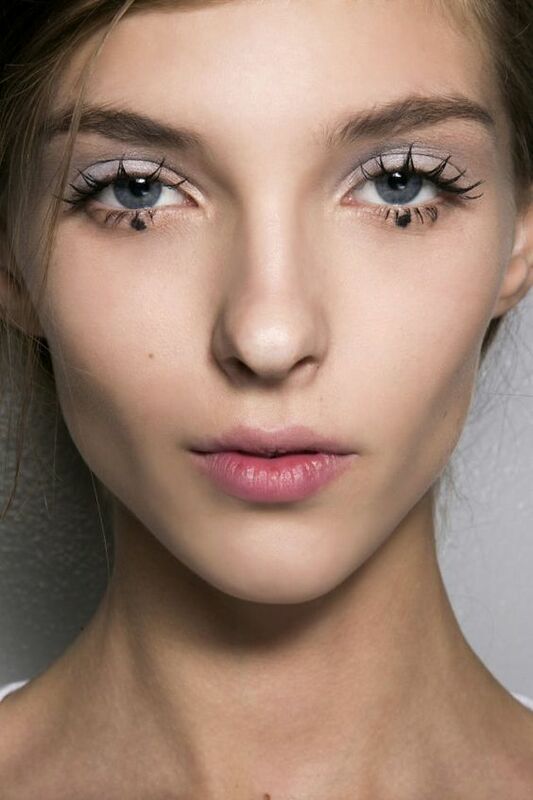 Wearing doll lashes and white eyeshadow together in the same look ensures a knock-out finish for your eyes and lashes. Many women are unsure of how to complete the rest of their makeup look when they’re rocking doll lashes. Let your lashes take center stage and keep your other makeup simple. There’s no need to wear any eye makeup other than mascara. In fact, additional eye makeup just detracts from the intensity of your doll lashes. If you don’t want the rest of your look to be too simple, add a bold red lip to balance out your look. Or, play up your makeup’s doll-like finish by brushing on blush to create rosy cheeks. The point of doll lashes is to draw attention to your eyes and eyelashes. If you style your brows after creating doll lashes, your brows will attract more attention to your eye area and create the illusion that your eyes are even bigger. Not styling your brows creates a noticeable discrepancy between your bare brows and your dramatic lashes, which gives your look an unbalanced finish. Experiment with making your brows slightly darker and fuller to match the drama and intensity of your doll lashes. More prominent brows will help your doll lashes blend more seamlessly into the rest of your look and downplay their shock factor without diminishing their positive effects on your eyes and lashes. However, don’t completely change the way you style your brows. The shift in shade and thickness should be extremely subtle to avoid a clownish, overdone look. 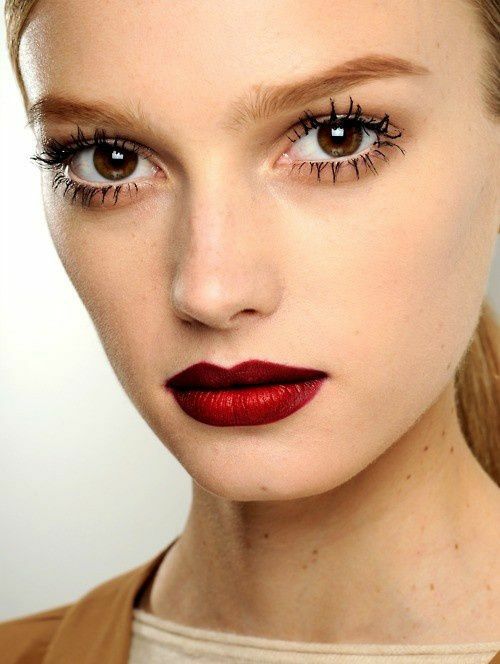 Doll lashes are a fun, playful trend that give your look a whimsical finish while enhancing your eyes and eyelashes. Try not to take all of your makeup looks too seriously; don’t be afraid to try doll lashes out on yourself to get long, thick lashes and wide eyes instantly.